After viewing the tutorial on the herringbone block, I got excited and started. As it progressed I watched the chevron tutorial and had this idea. 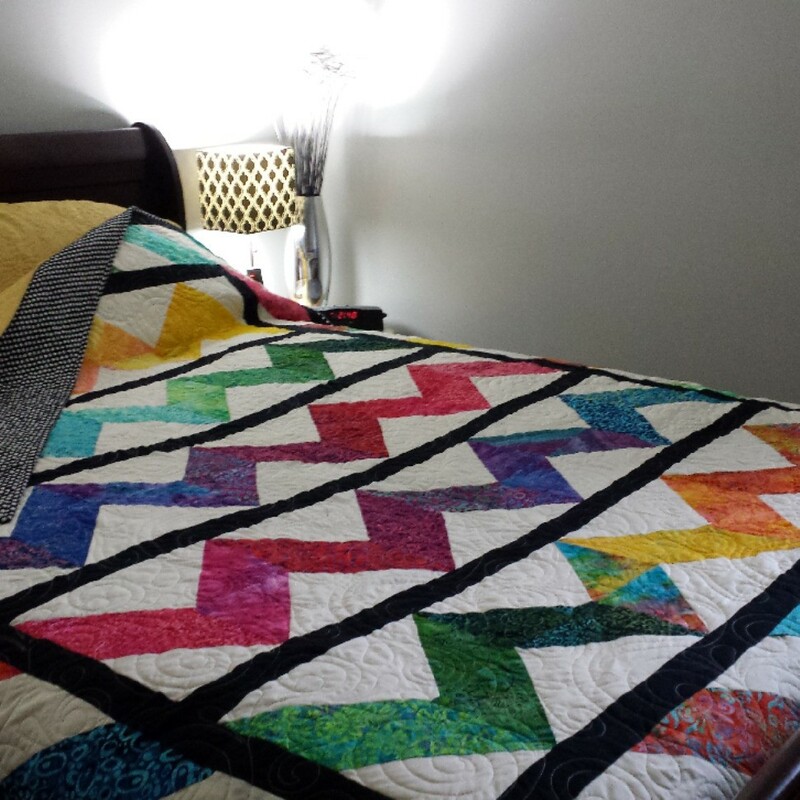 It is the largest quilt I have made.